Henry V is a study of kingship, patriotism, and heroic determination tempered by tender comedy as Henry courts Katherine, princess of France. Henry, the noble and courageous young king of England, decides to invade France, believing he has a rightful claim to the throne. At Agincourt he leads his army into battle against the powerful French forces and, against all the odds, wins a famous victory. 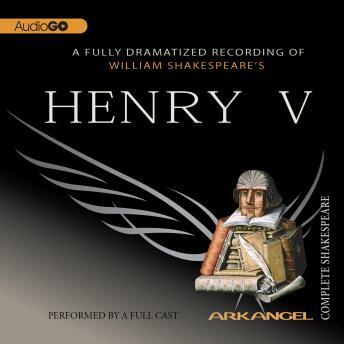 Henry is played by Jamie Glover, Brian Cox is the Chorus, and the Hostess is played by Elizabeth Spriggs.